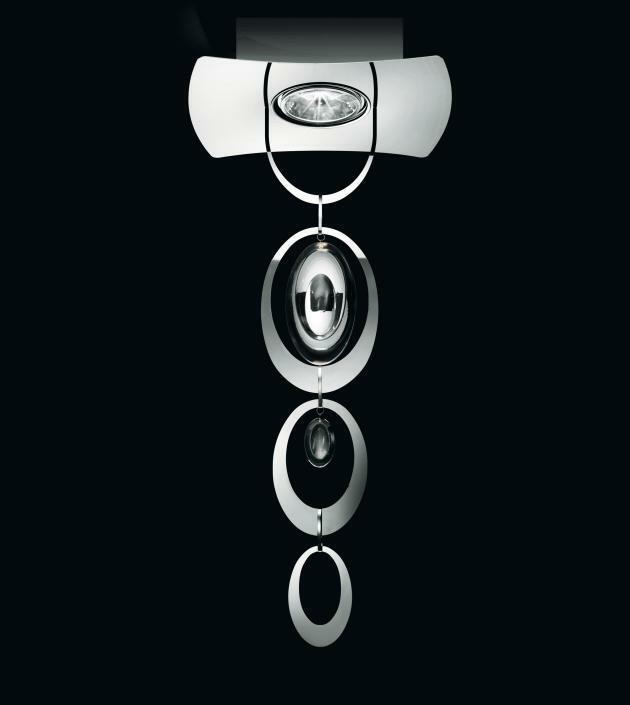 Italian designers Francesco Bonamico and Marina Toscano created the Anthea hanging lamp for lighting manufacturer Murano Due. 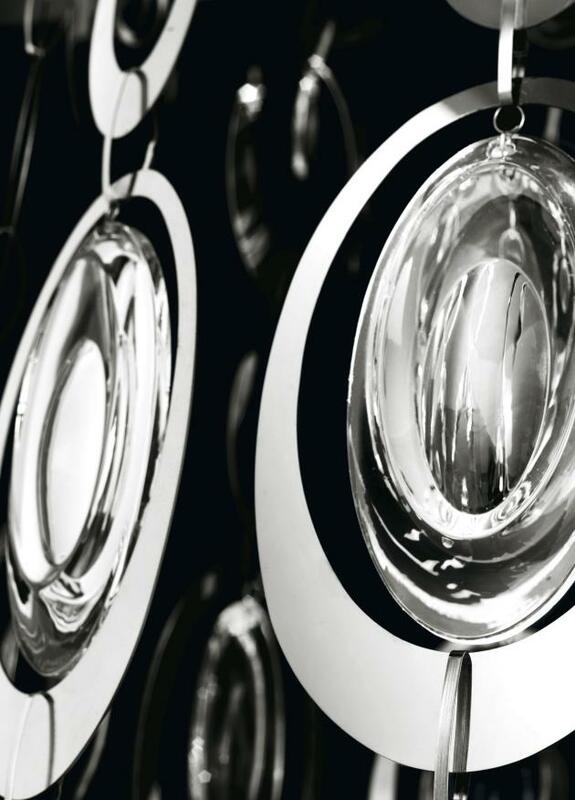 With a gaze at the past to give new invention to that antique precious material of crystal, and a leap forwards to discover innovative forms was how Anthea was born, the new lamp designed by Francesco Bonamico and Marina Toscano for Murano Due. 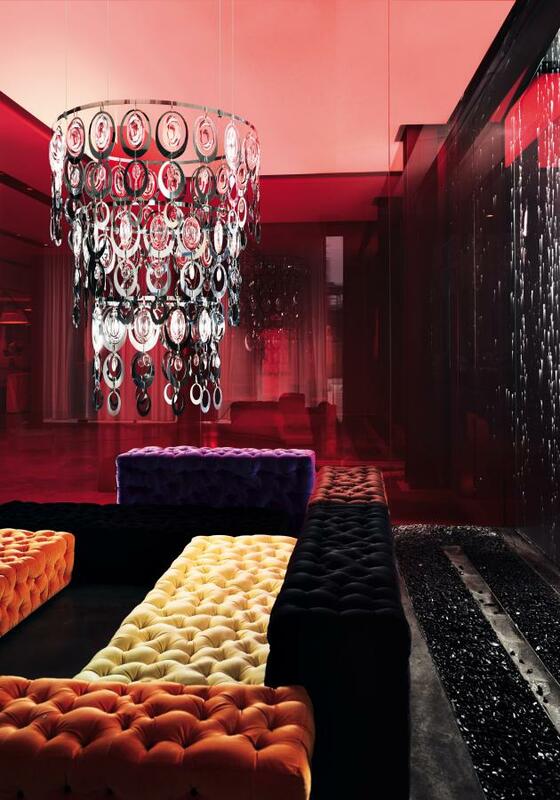 The light spreads through the precious drops of pressed and ground polished glass through a cascade of elliptical pendants of polished metal that reflect and release infinite reflections into the room. The recurring layout of the elements creates a very elegant, harmonious and original furnishing item when the light is turned off to then become a sparkling feature when it is turned on. 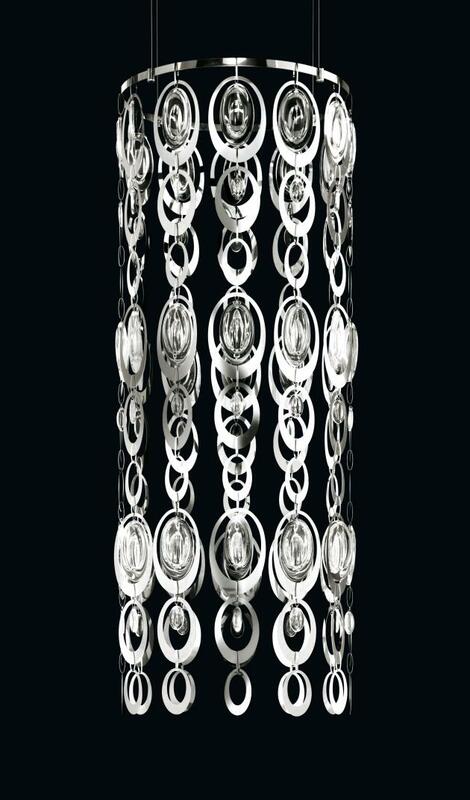 Visit the Murano Due website – here. The original scenic effect of the lamp highlights the expert way the glass has been processed to then be placed together with polished metal which gives the utmost expression of the styling richness of Anthea. The light and sophisticated polished finish amplifies the reflections, multiplying and spreading the colours and flashes coming from the surroundings. Anthea is a modular system which is available in various different versions with a different number of wires for the pendants, to increase the decorative effect and underline the value of the lamp, and create a very fascinating impression.